You are viewing Kelly Jensen's post archive. Last year on The Hub, I broke down the “best of” lists by a number of different factors. I’m doing it again this year, and I’ve again included a graphs for your viewing pleasure. I documented the titles appearing on Horn Book, School Library Journal, Kirkus, and Publishers Weekly‘s “best of” lists. Last year, I did not include information from Library Journal, but I have decided to include it this year (though note that Library Journal’s “best of” list for YA titles is called Best Young Adult Literature for Adults). There are a number of important comments to make before showing off the data. First, I limited myself to fiction titles. They’re easier to track information about. I did not include graphic novels nor short story collections — this disqualified only 5 titles from my list. Likewise, I ensured all titles were marketed for young adults, age 12 and older. I verified all information through Edelweiss, and in the small number of titles unavailable to find on Edelweiss, I relied on Amazon or trade journal reviews. All genre categorizations are based on my own knowledge/reading of a title, or they’re based upon the most common terms in Edelweiss. I collapsed many genres together for simplicity. This is the most subjective portion of the breakdown, and it is further explained beneath that data set. There are a total of 89 titles and 90 authors being considered in the data. Like last year, these stats aren’t meant to prove anything; rather, they give a different way to think about the year in YA fiction. I’m a data nerd, so I love looking at the numbers and seeing patterns among them. 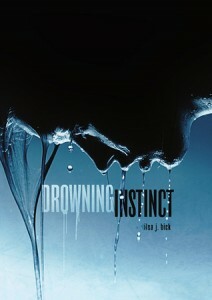 The air is getting cooler and the days are getting shorter, making it the perfect time to wind down with a debut novel. October has a host of titles penned by new writers across every imaginable genre. Remember: if you’ve read a debut novel this year — defined as the first book written by an author (not just their first young adult book) — then suggest it to the William C. Morris committee. I’ve divided these books by genre and organized them loosely into interesting thematic pairings where possible. Likewise, I’ve included read-alikes for some of the titles. All descriptions are from WorldCat. The stress of hiding a horrific incident that she can neither remember nor completely forget leads sixteen-year-old Cassidy “Sid” Murphy to become alienated from her friends, obsess about weight loss, and draw close to Corey “The Living Stoner” Livingston. This book will probably appeal to those readers who have enjoyed Laurie Halse Anderson’s Speak or Hannah Harrington’s Speechless. I don’t know what it is about late summer and early fall this year, but they sure are bringing out the debut novels. Like last month, there are many new faces making their appearance on YA shelves. I’ve arranged the titles by genre and included read-alikes where possible, and all descriptions come from WorldCat. Remember, if you read something by a debut author — that is an author who has never published a book before in any genre or for any age group — take the time to suggest it to YALSA’s William C. Morris committee. Pia has grown up in a secret laboratory hidden deep in the Amazon rain forest. She was raised by a team of scientists who have created her to be the start of a new immortal race. But on the night of her seventeenth birthday, Pia discovers a hole in the electric fence that surrounds her sterile home — and sneaks outside the compound for the first time in her life. Free in the jungle, Pia meets Eio, a boy from a nearby village. Together, they embark on a race against time to discover the truth about Pia’s origin — a truth with deadly consequences that will change their lives forever. In alternating chapters, tells of the mermaid Syrenka’s love for Ezra in 1872 that leads to a series of horrific murders, and present-day Hester’s encounter with a ghost that reveals her connection to the murders and to Syrenka. 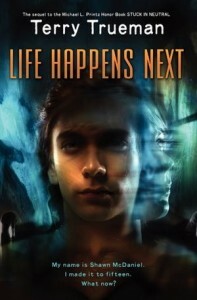 Technically, Fama is not a debut author, though this is her first YA novel. A new publishing trend over the last couple of years is one that’s been almost under the radar. Or at least, it feels like it’s been under the radar because it hasn’t been talked about much. it’s easy to talk about trends like mermaids or books taking a new spin on Game of Thrones when you’re reading a ton of books every year. But have you noticed recently the number of sequels to books that published five or more years ago making an appearance? 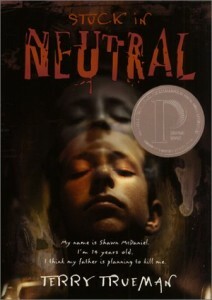 Terry Trueman published Stuck in Neutral in 2000, and the book garnered a Printz Honor in 2001. He published a companion novel to the award-winning book in 2004 titled Cruise Control, but that book was told from the perspective of the brother of main character Shawn. Now, 12 years after Stuck in Neutral, Trueman offers a true companion in Life Happens Next, published by HarperTeen last month. He discussed this book and his motivation with us in an interview last month. Even though the year is now more than half over, there’s no slowing in the number of debut YA novels coming out. In fact, I’ve been looking forward to July for a while now because it means two of my favorite debuts of the year are finally out and available. There’s a really nice mix of genres this month, too — there is most definitely a little bit of something for everyone. Don’t forget that if you read a novel written by a first-time author and think it’s noteworthy, take a few minutes to suggest it to the Morris Awards committee. Should you stay where you’re comfortable or should you move somewhere new and experience a life totally foreign from everything you’ve known? That’s the dilemma explored in Kat Rosenfield’s Amelia Anne is Dead and Gone (Penguin/Dutton, 9780525423898). Becca’s ready to leave her small town behind, but she’s got a boyfriend. Except, on the night of her graduation, he mistreats her and now she’s not so sure what’s best for her future. That same night, the dead body of a girl shows up on the side of the road. No one knows who the girl is, what her history is, where she came from, or who could be cruel enough to kill her. Rosenfield’s debut alternates between Becca’s struggle to figure out what her next steps are and Amelia’s very same struggles — except, of course, for one of the girls, this is a beginning and for the other, it’s an ending. The writing is literary and eerily reminiscent of Nova Ren Suma’s Imaginary Girls, and it will have great appeal to those who love Sara Zarr’s deliberate storytelling.